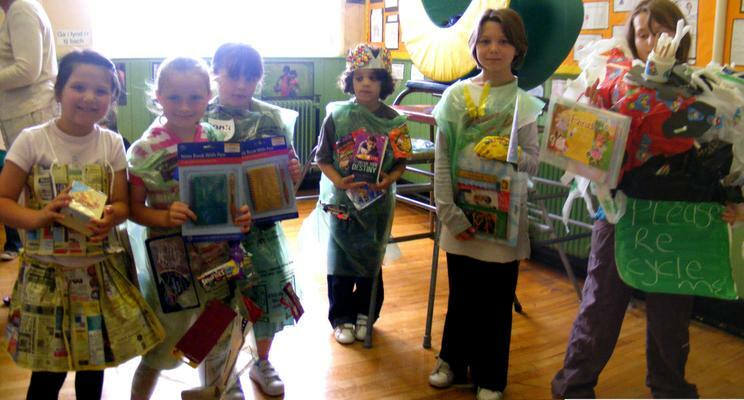 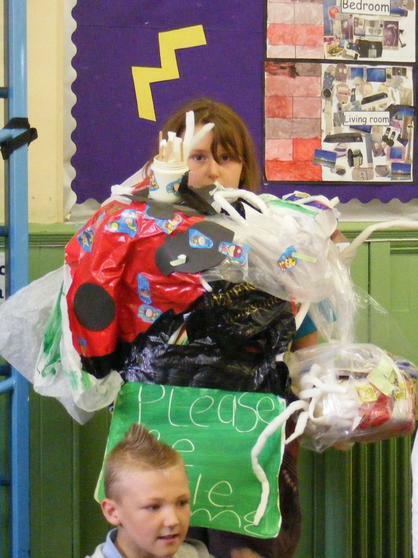 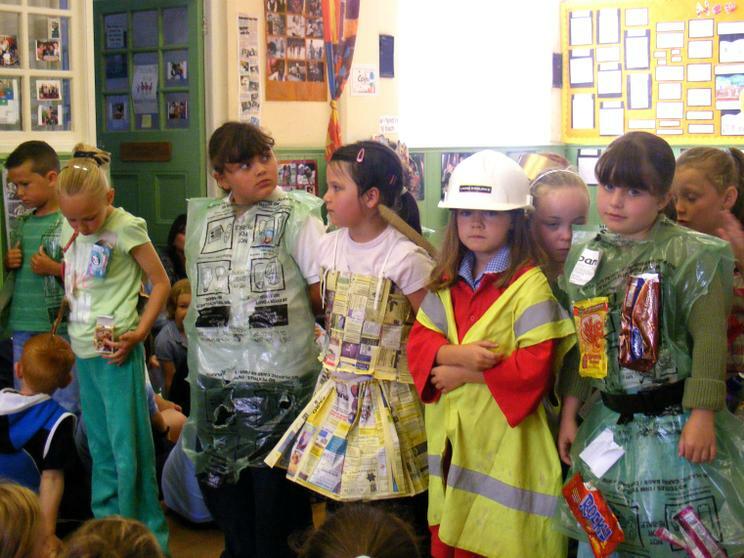 Green Gang organised a fun event on Friday 11th July taking their cue from some of the creations from last years Londons Fashion week, they organised a competition to use recycled materials to make a costume. 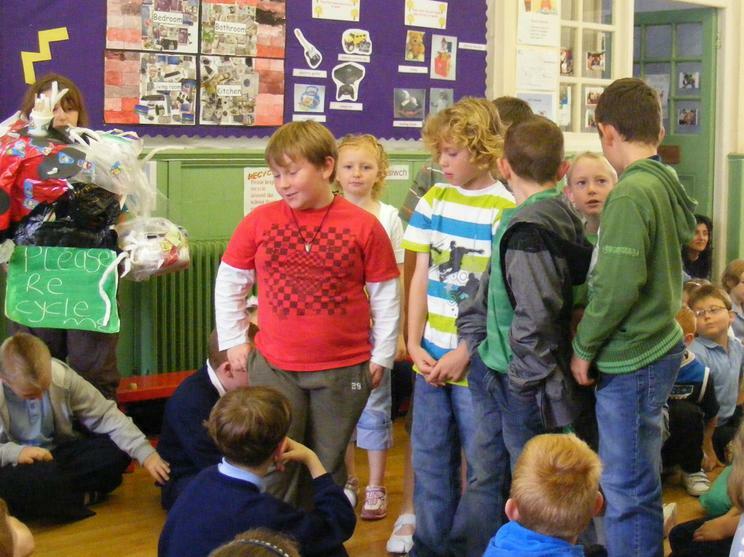 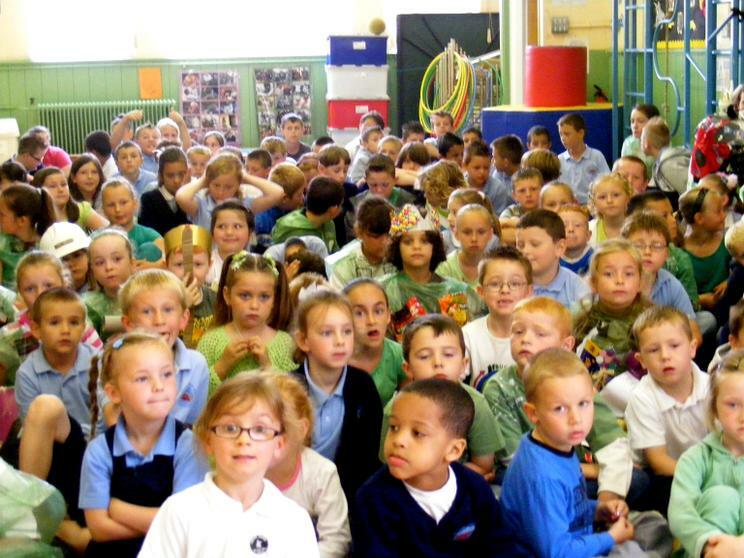 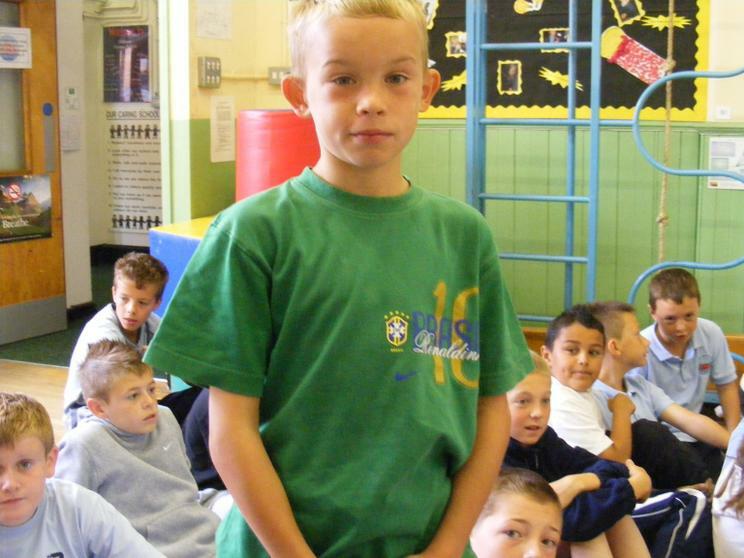 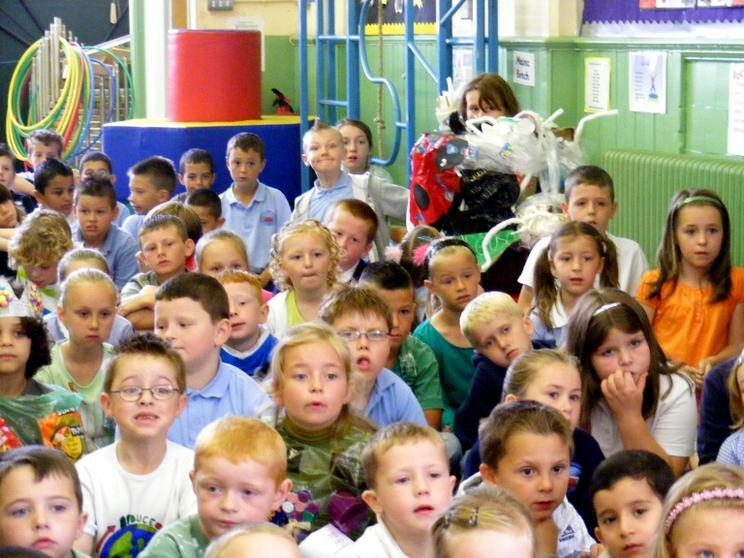 The idea was to raise funds for the many activities that Green Gang get involved in. 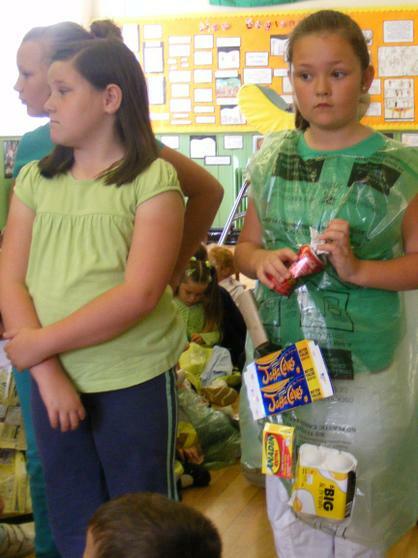 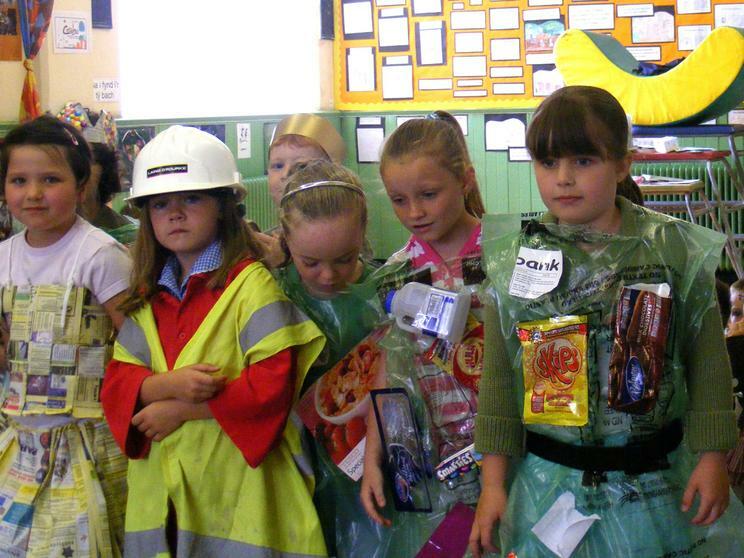 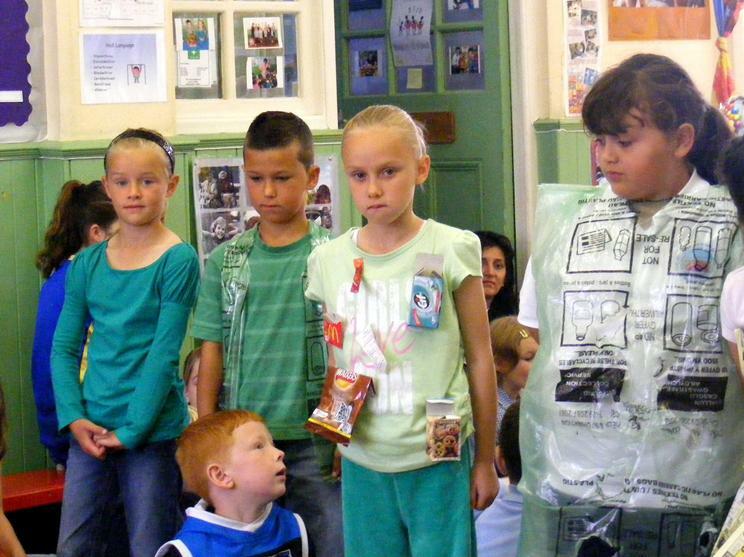 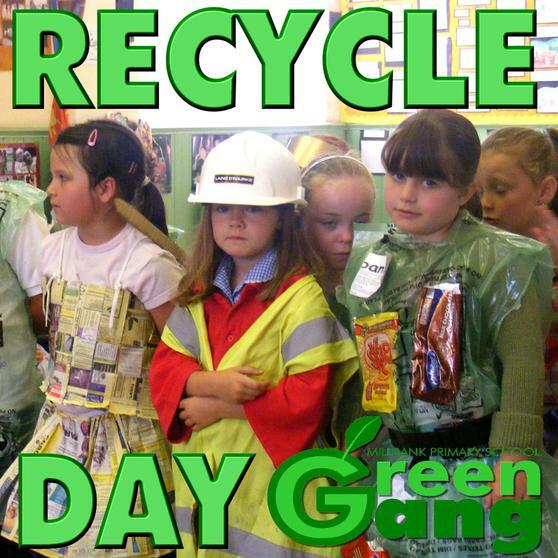 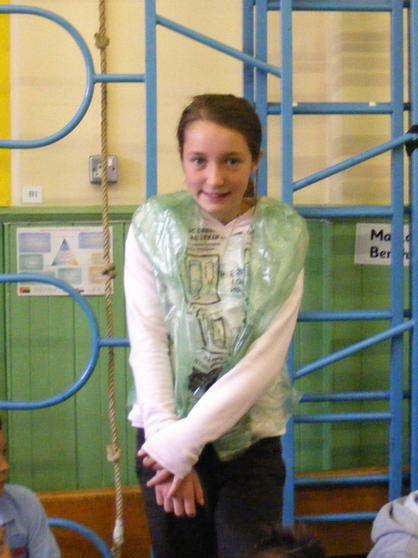 As you can see there were some great costumes some dressed as recyclers, some wore green and Green gang made a total of £68.50 and equally important everyone had a great day and learnt a lot about the work that Green Gang do.